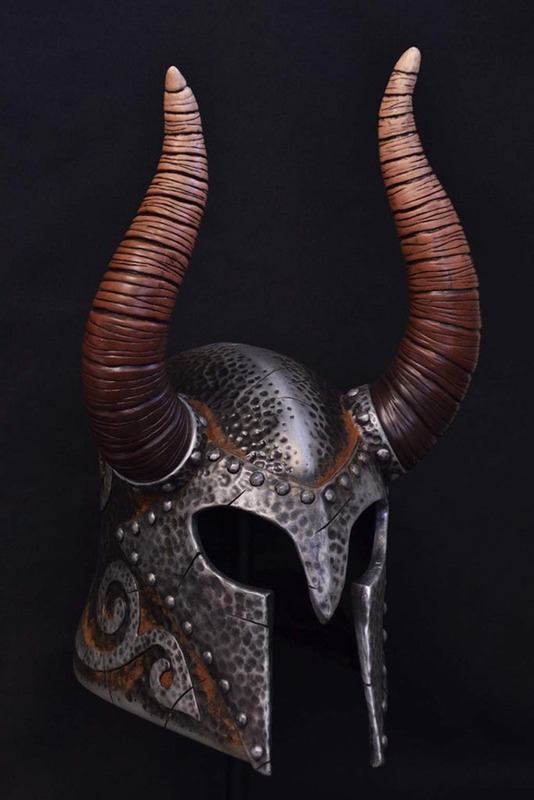 Show the nearest dragon a thing or two with our Helm of Yngol Kit! 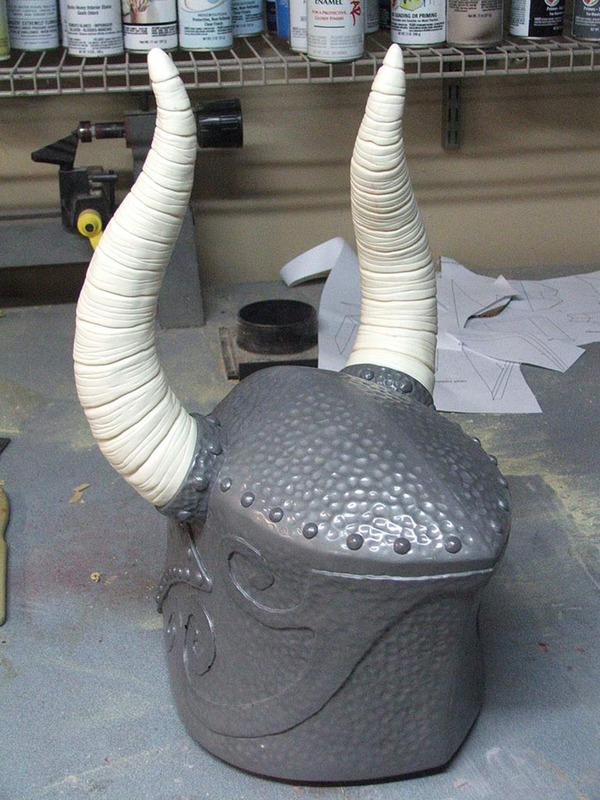 This kit includes one helmet and two cast resin horns. All parts are cast in urethane resin and will be provided untrimmed. The helmet component will be “cold cast” with aluminum powder, with horns cast in off-white resin and back filled with expanding foam for reduced weight. This kit will require sanding of seam lines and light filling in some areas. Buffing is required to bring out the Aluminum shine of the helmet. Buyers familiar with prop kits will find this easy to assemble with a minimal amount of prep work needed before finishing. Finished photo is of our own completed kit and is provided for reference only; if you would like more information about how this piece was made, as well as information on how to take it from its current state into a finished piece, please see our post on our blog! 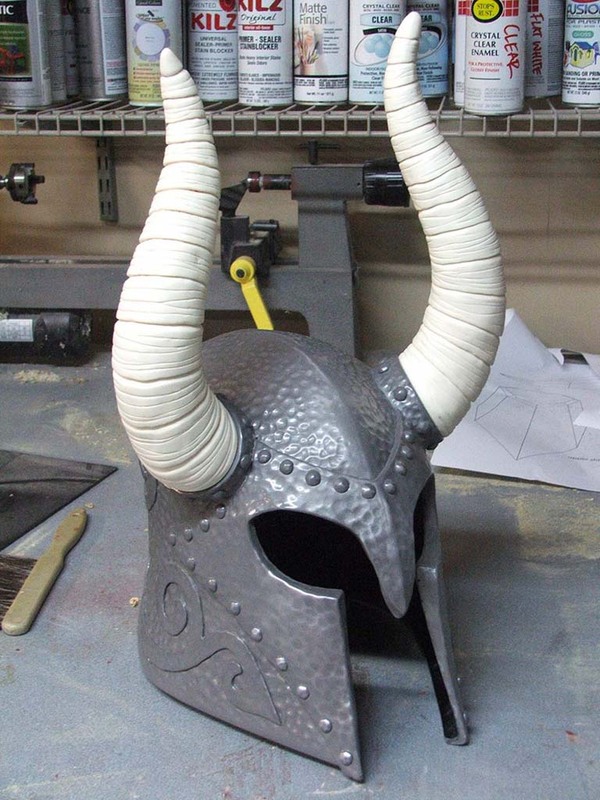 Click here for the Skyrim “Helm of Yngol” design and build log.